now a strategic partner to MY STORAGE - Secure, Clean & Cost Effective Self Storage. 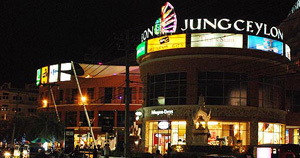 Southern Thailand’s largest shopping mall is home to more than 300 shops, consisting of designer clothes shops, up market restaurants and cafes, hairdressers, spa’s, salons, skin centers, supermarkets and MY STORAGE Self Storage that service tenants with logistic storage solutions. Web development, 3D modeling and rendering, iPhone development. Jones Lang LaSalle is a global real estate services firm specialising in commercial property management, leasing and investment management providing comprehensive services for real estate owners, occupiers and investors worldwide.